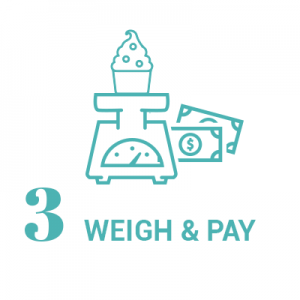 Acai Bowl Byron Bay | Acai Bowl Near Me | Visit Us NOW! 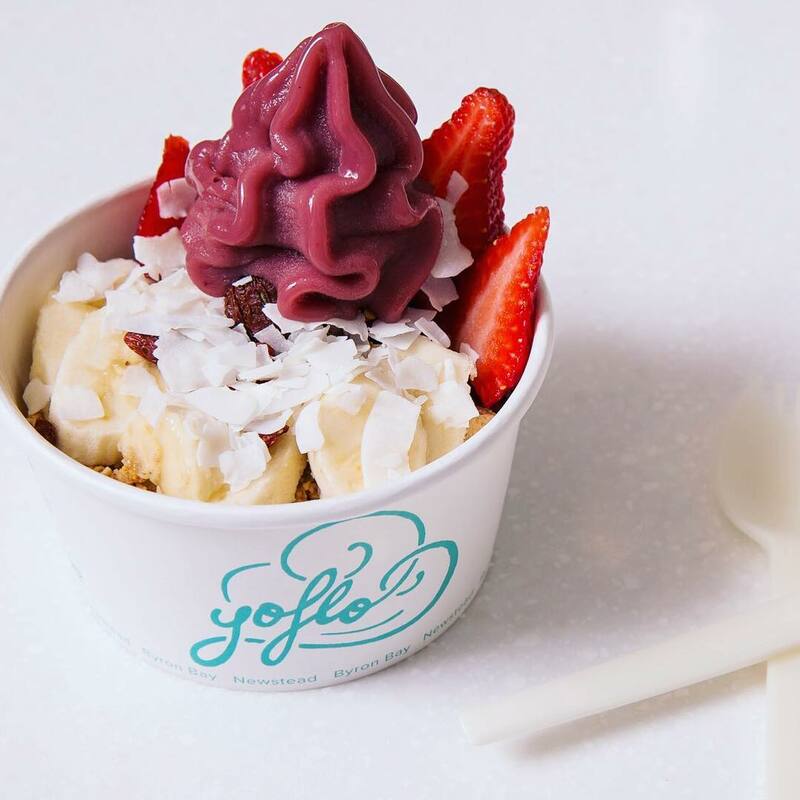 Located in Byron Bay, YoFlo is a self-serve yoghurt + fruit bar. 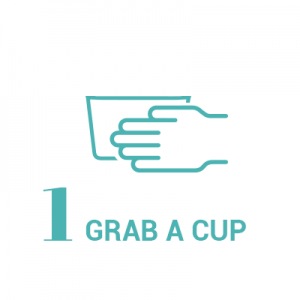 To truly experience the best Acai Bowl in Byron Bay you need to do it yourself! 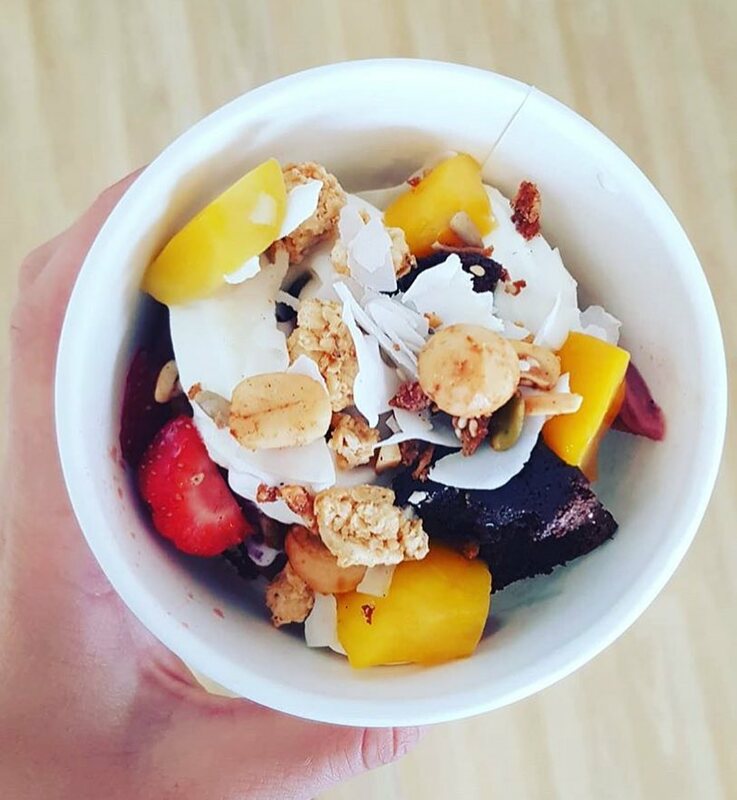 We’ve now brought our famous Acai Bowl into our self-serve range, allowing you to create a delicious, unique and healthy treat any time of the day! 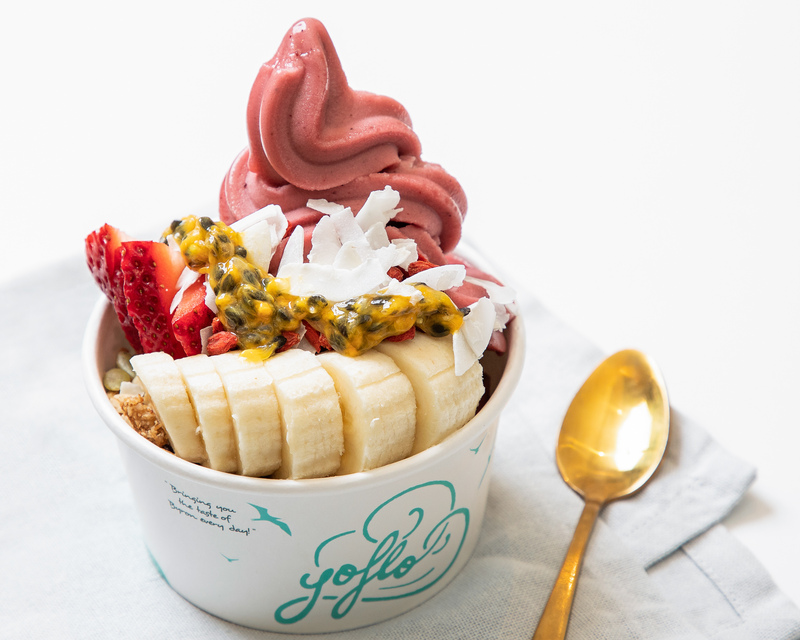 Create your next acai bowl at YoFlo the next time you’re in Byron Bay. 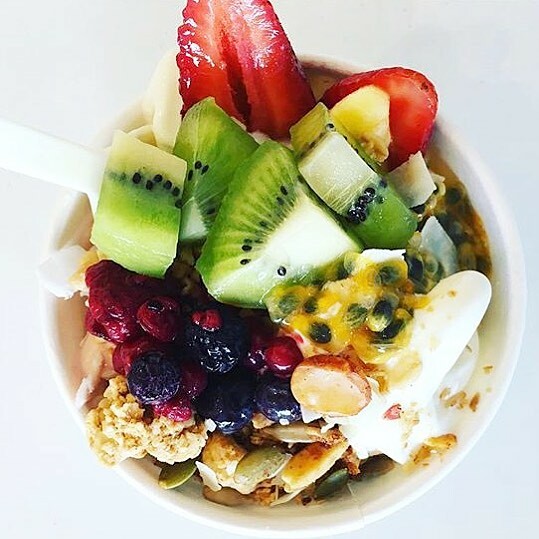 With fresh bananas, blueberries and raspberries already blended through our Acai, you can then add up 32 other gourmet toppings of fresh fruit, assorted mueslis, nuts and cheeky goodies with up to 5 other flavours to create your perfect acai bowl in Byron Bay. 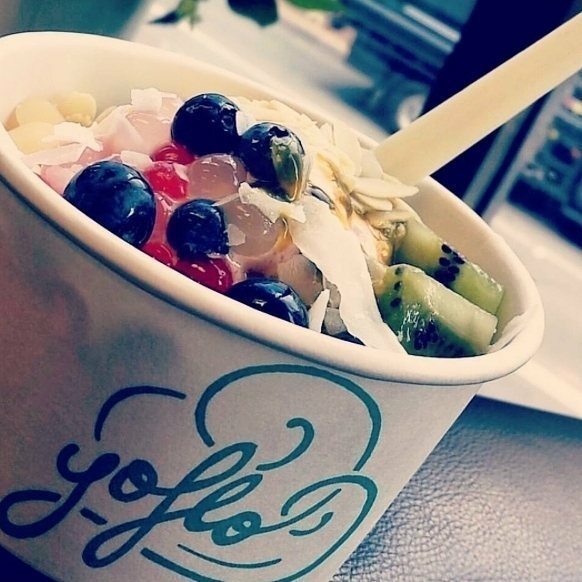 The YoFlo experience is true to our Byron Bay roots – Fun, Fresh and Creative. 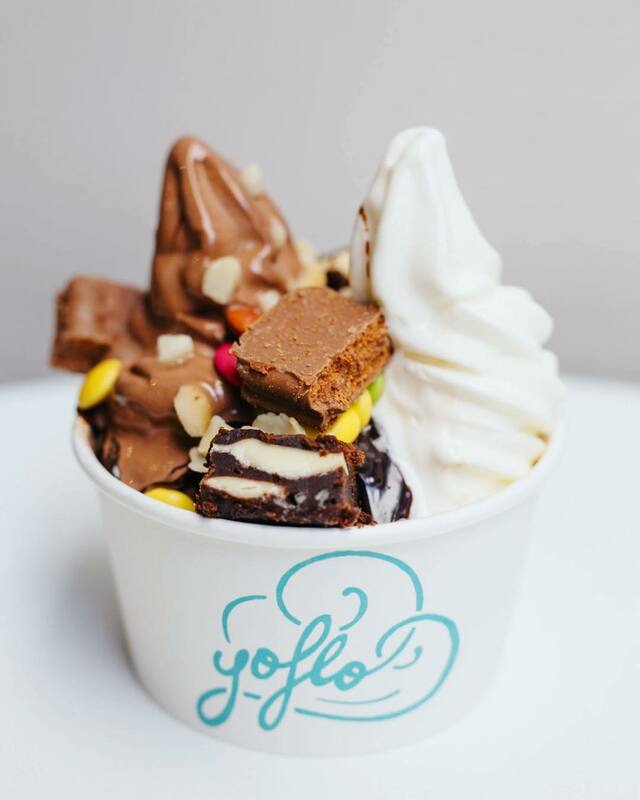 YoFlo is a self-serve frozen yoghurt + fruit bar offering a range of different froyo, including vegan, dairy and coconut based flavours, gourmet toppings along with natural Greek yoghurt and smoothies. 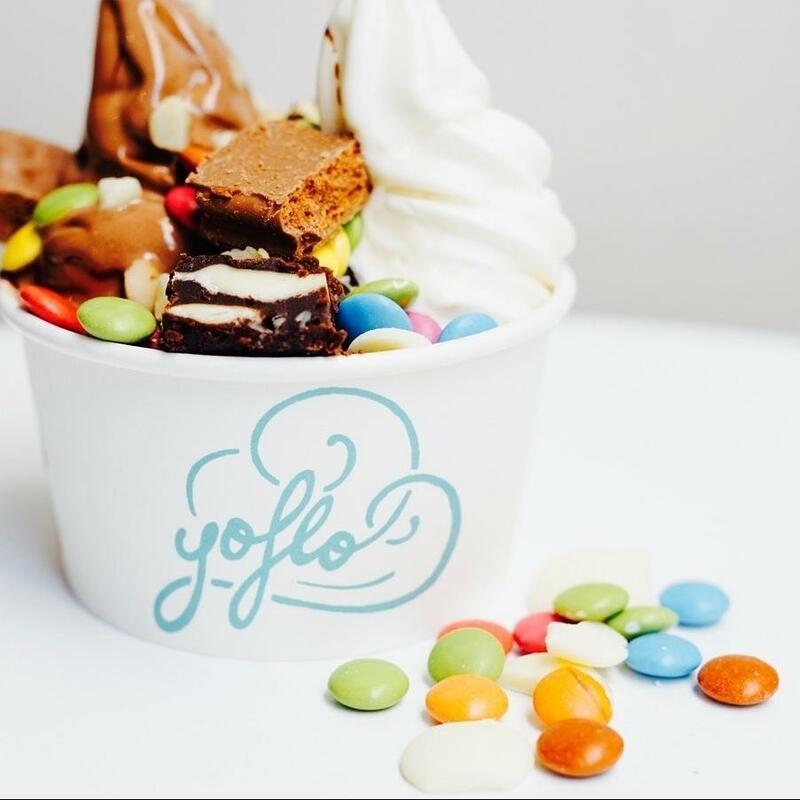 YoFlo began on the streets of Byron Bay in 2012 when founder Mick Godwin set up a little street stall to sell some new frozen yoghurt flavours. 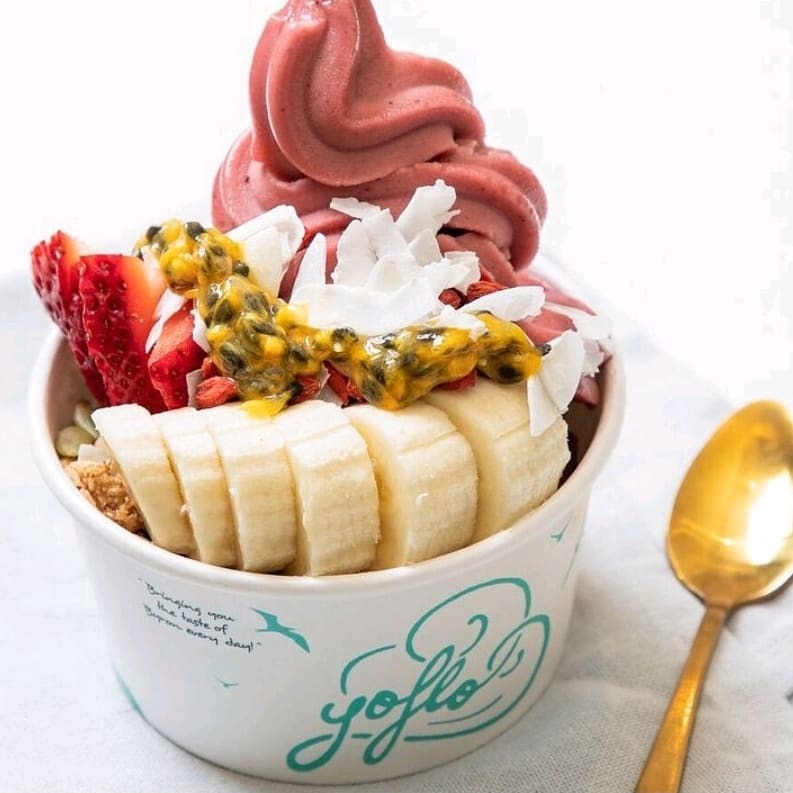 YoFlo has now become an iconic Byron Bay brand, hugely popular with locals and travellers alike. It is a little escape and a lot of fun. 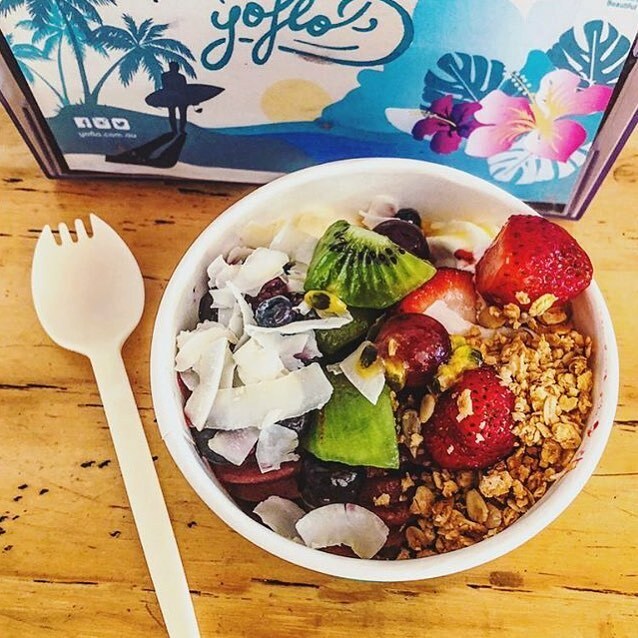 Looking to Grab an Acai Bowl in Byron Bay? 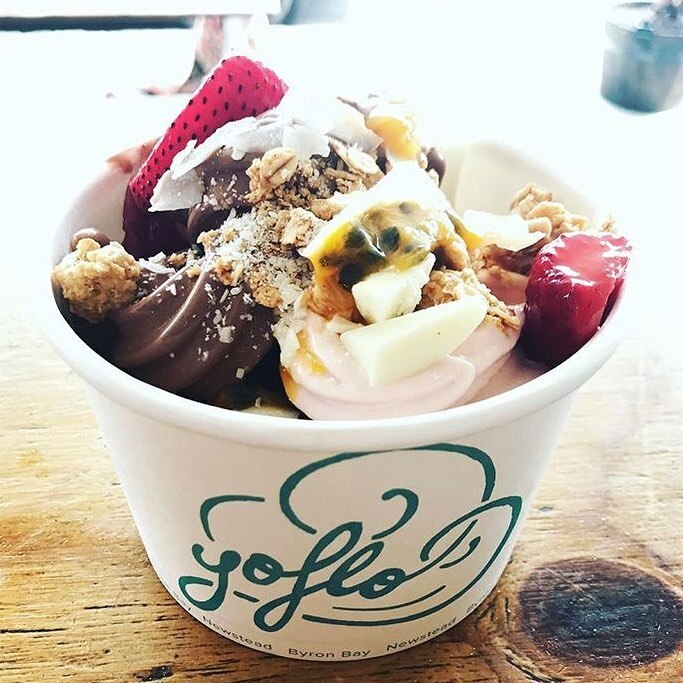 YoFlo is Byron Bay’s original frozen yoghurt store and still the only place to offer self-serve Acai Bowls in Byron Bay. 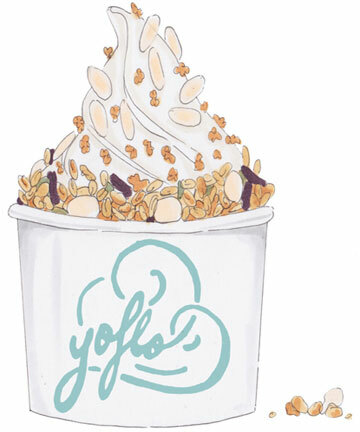 Go where the locals go at YoFlo.